In a show of power-play worthy of the drama itself, Russia is said to have refused to allow the popular US television series House of Cards to film in the UN Security Council chamber. Producers of the political drama approached the world body, and the 15 council members were asked whether they would allow the use of the chamber when the council was not in session, but Russia said "nyet". The Netflix show, which has gathered a large worldwide following, had received the OK from British diplomat Michael Tatham, who had written to other members urging them to do the same. “The UN Department of Public Information is of the view that cooperating with the production would provide an excellent opportunity to raise awareness among a large audience around the world regarding the world of the Security Council, and of the organisation in general,” he wrote, according to Foreign Policy magazine. Others were given until 6pm on Tuesday to air any objection. With just minutes to go before the deadline, Russia submitted theirs. "Upon thorough reflection, we are objecting to the proposed filming in the Security Council," Mikael Agasandyan, UNSC coordinator for the permanent Russian delegation to the UN, wrote in an email to council members. "We are of [the] opinion that the Security Council premises should be available at any time and on short notice. Besides that, we consistently insist that the Security Council premises are not an appropriate place for filming, staging, etc." It is not clear whether the Kremlin took offence to the show’s political content or was simply using the opportunity to flex its muscles. The Washington-based series stars Kevin Spacey as conniving politician Frank Underwood and Robin Wright as his wife. 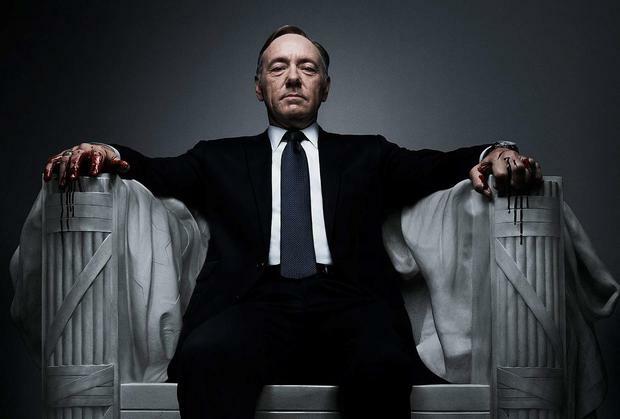 Exposing double-dealings and corruption in the White House, the show has received critical acclaim, particularly for Spacey’s own portrayal of ruthless careerist Underwood. Even US President Barack Obama is a fan, admitting to watching the show, but said the real Oval Office was “far more boring than displayed on the screen”. Other diplomats were more than happy to allow filming of scenes for the third series. Gerard Araud, France's UN ambassador, told reporters in response to the decision: "It's disappointing for you, I guess, because you wanted to see the actors." "It's reassuring because I think the actors would have seemed so much more elegant than we are, you know," Mr Araud said, laughing. According to reports, Ban Ki-moon, the UN Secretary-General, had recommended that the Security Council allow the show to film during off-hours to raise public awareness about the institution. The filming had been planned for mid-August, when most of the top ambassadors are away on vacation. It is not the first time a show's request to film in the building has been denied. In the 1950s, Alfred Hitchcock asked to film a murder scene for North by Northwest in the UN’s North Delegate Lounge but was refused.